Eros International announced today that Eros Now, its digital over-the-top distribution service, has extended its presence in the Malaysian market by partnering with a leading Malaysian telecom player, Celcom Axiata Berhad, for their subscribed data plan – Video Walla. Eros Now and Celcom’s partnership will further enhance the entertainment experience by providing Malaysian customers access to Eros Now’s vast library of 11,000 plus movies, original shows, music videos and more. Celcom customers can enjoy Eros Now’s extensive content offering under the subscribed data plan, Video Walla, and users can access Eros Now premium content by paying a retail fee of MYR 10 ($2.41 USD)/month and MYR 100 ($24.08 USD)/year. Bollywood and other Indian content continue to be enjoyed by the vast Indian diaspora in Malaysia where local Malaysians are charmed by Bollywood movies. Malaysia as a location is featured prominently in several Indian films and is a popular destination for hosting Indian film award ceremonies, adding to the local connection and appeal in Indian entertainment. 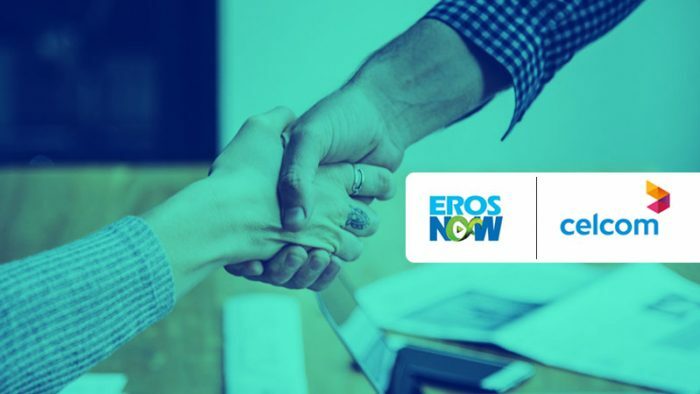 With this partnership, Eros Now remains the only Indian OTT platform to penetrate the growing Malaysian market. Previously, Eros Now had announced other local partnerships with telcos such as Maxis Berhad and UMobile.